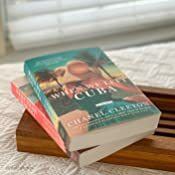 When We Left Cuba - Kindle edition by Chanel Cleeton. Literature & Fiction Kindle eBooks @ Amazon.com. Chanel Cleeton, originally from Florida, grew up on stories of her family's exodus from Cuba following the events of the Cuban Revolution. 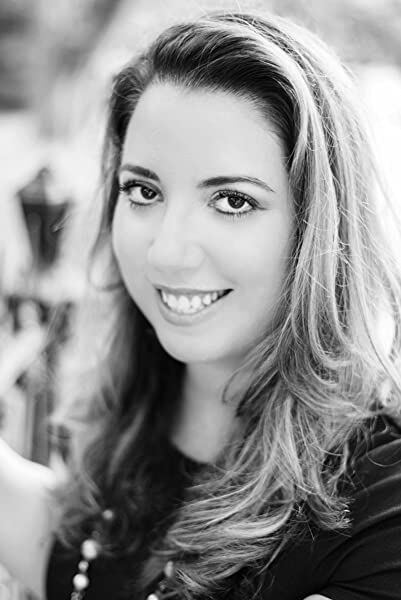 Her passion for politics and history continued during her years spent studying in England where she earned a bachelor's degree in international relations from Richmond, the American International University in London, and a master's degree in global politics from the London School of Economics and Political Science. Chanel also received her Juris Doctor from the University of South Carolina School of Law. She loves to travel and has lived in the Caribbean, Europe, and Asia. I am not writing a summary. I will be reviewing my likes/dislikes since the back of the book (pic included) summarized the story nicely. I did NOT read the first book, Next Year In Havana. But you do not need to. The first few chapters go into the background of the first book. I was not lost at all. Since this was categorized as historical fiction, I had a different expectation for this novel and was disappointed. Mostly it's about how Beatriz doesn't want to be in America, and how she wants to go back to Cuba since she continues to constantly remember Fidel ruining her family situation and his regime killing her revolutionary brother. That's the most history you get about Cuba during this time period, nothing that peaks into detail. It lacks the culture, language, and framework for their politics. Everything is surface level. Nothing historically interesting or new. The dialogue is bland and impersonal, nothing very conceivable. Around pg 100 the story seems like it's going to start, but quickly goes back to beautiful Beatriz and her attraction to the Senator. This is the bulk of the book- the relationship between her and the handsome Senator. It seems like the romance was just thrown into the setting of the early 1960s in Florida. And then, all of a sudden Beatriz is part of the CIA. Most of the storyline did not seem planned or seriously thought out. Little excitement even after halfway through. Everything always went back to her love affair. 85% romance 15% random things happening to Beatriz. 5.0 out of 5 starsEverything I was anticipating for Beatriz's story! This is one of my most anticipated reads of this year. From the moment I finished Next Year in Havana, I knew I needed to read Beatriz’s story. Beatriz Perez left everything she loved about home behind when her family fled Cuba. Now the revolution is over, her family is putting down roots in Florida, and the feelings of loss are stronger than ever for Beatriz. She feels like no one is fighting to return to Cuba, to return Cuba to what it should have been. 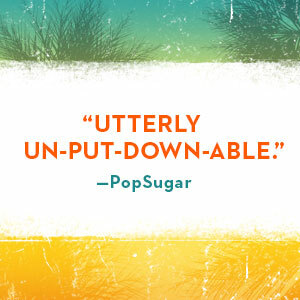 A new season is upon them in Florida, more men are proposing marriage, but nothing excites Beatriz about her situation. She isn’t interested in the traditional family life her sister has chosen and her mother would steer her to. An offer to work for the CIA is tempting for this woman who has held on so tightly to the dream of returning home. The CIA aspect of Beatriz’s life is only one thread of this story, however. She leads a rich life on the edge of what is considered proper for a young well-bred woman in the 1960s. She isn’t as concerned with what others think of her decisions, choosing to follow her heart rather than the expectations of her family. But her heart pulls her in multiple directions as she falls in love while working with the CIA, and her love and her work cannot exist at the same time. My heart pulled with hers as she considered her choices. The situations she finds herself in do not make this a spy story, and she is definitely not a full time operative, but the jobs they send her on put her in dangers she never imagined. She is strong willed, but has a deep heart for those she loves. Her desire to return home never wavers even as those around her question every move. 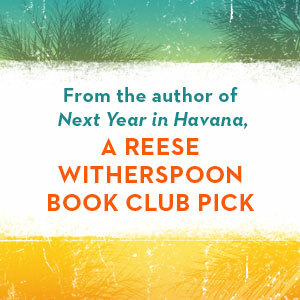 Like Next Year in Havana, this is a bittersweet story of family, love, and loss. 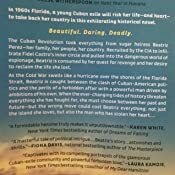 The way this story is woven into the events surrounding the years directly following the Cuban Revolution gave a depth and poignancy to Beatriz’s story. I could feel her hesitation as she considered which path to take with her life, the decisions that would shape her adulthood. Beatriz was an very intriguing character when we met her in the first book, but hearing her story in her own words made her an even more dynamic character than I imagined she would be. 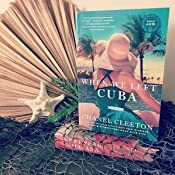 Chanel Cleeton , Author of “When We Left Cuba” has written an intense, captivating, enthralling, riveting, emotional, page-turning, and thought-provoking novel. I loved everything about Chanel Cleeton’s novel. The Genres for this Novel are Fiction, Historical Fiction, Romance, and Suspense. The time-line for this story is from the Cuban Revolution , the Cold War, the Bay of Pigs, President Kennedy’s election and so much more. I appreciate the historical details and research the author has done to provide such an intoxicating background and part of the story. Chanel Cleeton describes her colorful cast of characters as complex, complicated and dramatic. This novel would make a wonderful screen play, movie or series. I also appreciate Chanel Cleeton’s vivid description of the characters and landscape. After the Cuban Revolution, the Perez family is forced to come to America. 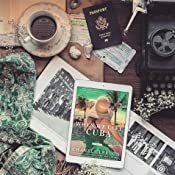 The family is trying to regain the loss of their sugar empire they had in Cuba.Beatriz Perez especially feels the loss of her country, , her friends, and the death of her brother. Beatriz has blamed the old regime, and now holds Fidel Castro responsible. The CIA wants Beatriz to infiltrate Castro’s regime. Beatriz’s strong-willed mother wants her to get married. Beatriz faces danger and death if she pursues her revenge. What will she decide to do? There are betrayals, espionage, and spies as the Cold War intensifies. Also the Perez family is slowly adjusting to the American way of life. Is there any way the problems of the past can be worked out so Beatriz can live safely in the present? I love that Beatriz is a strong-willed, brave and resourceful woman who tries to own her decisions. 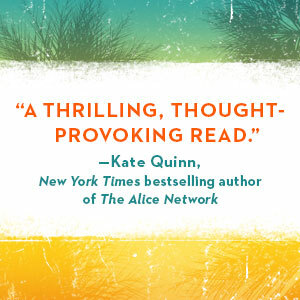 I highly recommend this unpredictable and suspenseful novel to those readers who love Historical Fiction. I received an ARC. Happy Reading! 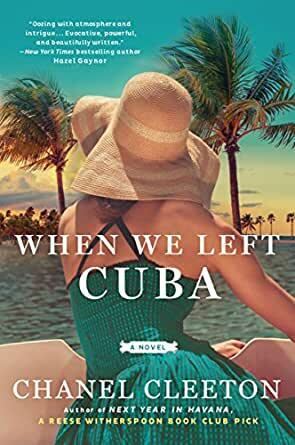 I love the cover on this follow up novel to Next Year in Havana. The story is about Beatriz. She has a fever to avenge her brother's death and see Castro ousted, even killed. While working clandestinely, she embarks on a forbidden relationship with a wealthy senator. They love in a bubble, which eventually evaporates. Each lives a different life, but love usually finds a way. This one wasn't quite as good as the first book, but still delivers. Thanks to Penguin First Read for the early copy.